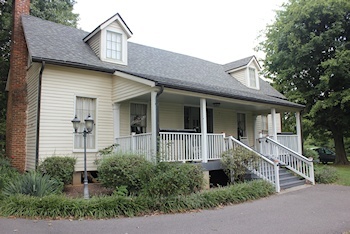 The Old Confederate Hospital, which today serves as a museum. 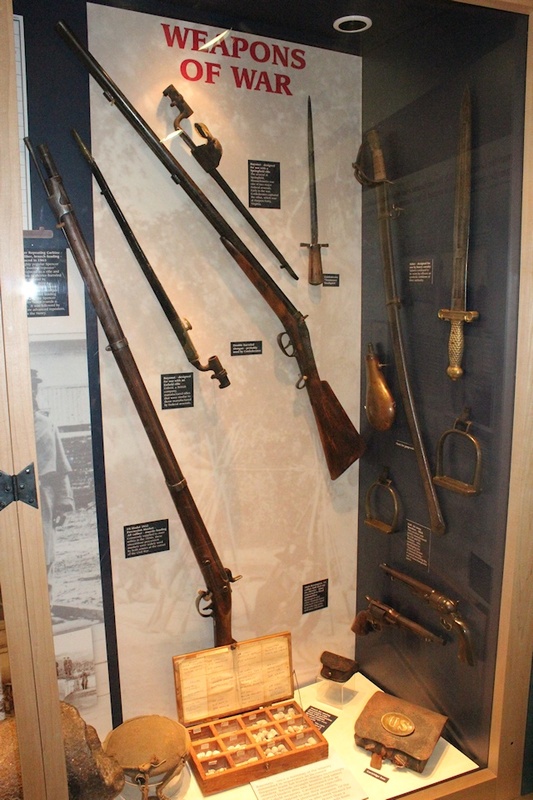 Marion Rust, who was the project coordinator for the Red Cross’ Columbus relocation, became fascinated with the remains of the Confederate fortifications at the old Fort DeRussey. 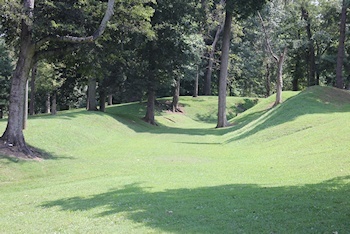 Though the forts were gone, Rust could see the large earthworks scattered over the bluffs and decided the area would make a beautiful park. The Columbus-Belmont Park Association was formed shortly afterwards and the Kentucky legislature donated $5,000 to create the park. Over the next few years, 369 acres were bought for the creation of the Columbus-Belmont Park. In February 1934, this acreage became part of the state park system. Later that year, an additional $50,000 was appropriated by the federal government for the park’s development. The money allowed the Civilian Conservation Corps (CCC) to restore the Columbus fortifications under the supervision of Marion Rust. In July, 220 CCC workers arrived at Columbus. They restored the earthworks, trenches, Redoubt No. 1 and the Civil War hospital. Picnic tables and pavilions were built and miles of trails were cleared. Today the park features numerous picnic sites, pavilions, a 38-site campground, store and museum. The campground, run by the Kentucky State Parks, has utility hookups and grills. Located at the campground are rest rooms, showers and laundry facilities. The campground is open year-round. Bird-watching, or “birding”, is a popular activity in the park. Several migratory songbirds pass through the park during the spring and fall. At least two dozen species of warblers along with the flycatchers, vireos, thrushes, tanagers and orioles can be spotted. 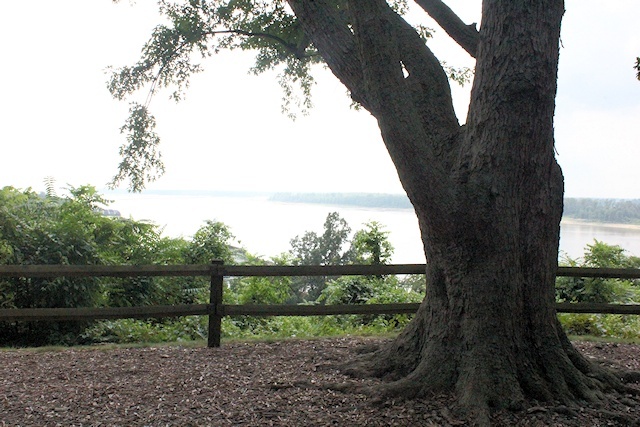 Hiking is another popular activity with a 2.5-mile, self-guided trail that explores the bluffs and massive earthworks build by the Confederate army. Also on site are a miniature golf course, a gift shop and a museum. 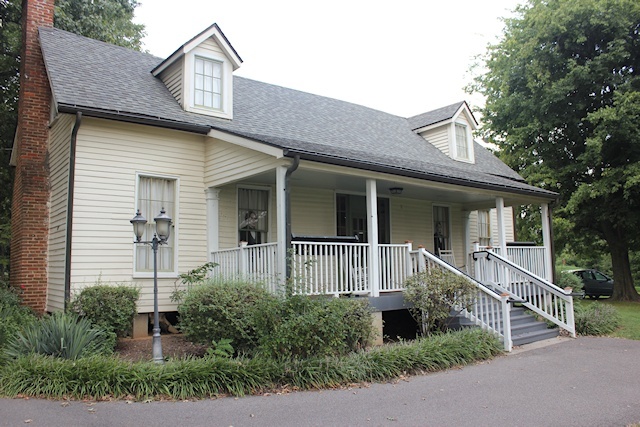 The museum is housed by an antebellum home built in 1850 and served as a Confederate hospital during the Civil War. Please contact the park office for reservations and operation times at (270) 677-2327. 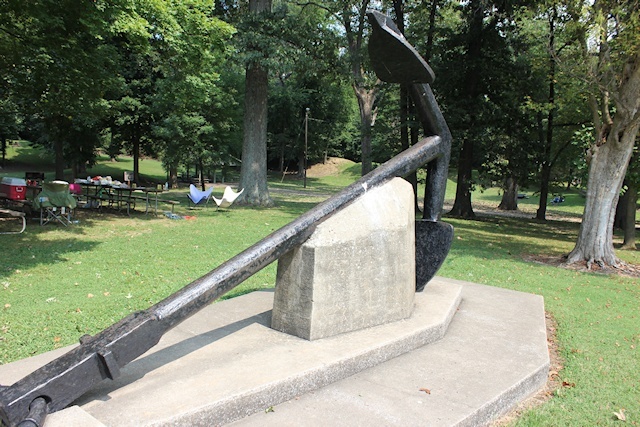 The anchor and chain are on display at the park.